My partner and I just got back from a very long trip to the United Kingdom, and we did a lot of hiking. We climbed Coombe’s Edge, Arthur’s Seat, the Organ and the Giant’s Causeway, and a bunch of other lesser-known bits. We always carried a day pack and lots of heavy thermoses, until she dropped one and broke it. You wouldn’t believe how badly I wished I could have had a backpack full of cold drinks when my girl and I were rationing our water on one of the harder hikes, trying to decide between taking more water and coolers or traveling light. That’s why I’m all about the Chiller’s Pack, because it would have made our lives so much easier and I think anyone who likes doing anything outside should have one of these. The Chiller products come in either a tote or a small backpack, and cool your drinks without ice! Ice was one of the biggest nightmares for me on my trip, because ice is heavy, and eventually you’re just carrying your drinks around a bag of water. The Chiller concept is great — it’s a tube that’s packed with freezing gel, with openings to store your drinks in. When coupled with the Chiller’s Pack or Tote, you can keep your drinks cold for a full 24 hours, and you don’t even need any ice! Both the pack and the tote are extremely portable, and I appreciate that both bags contain pockets to keep other things in, like maps or keys, so they can basically replace my day pack when I go hiking. They’re also very stylish, and don’t look like coolers at all! 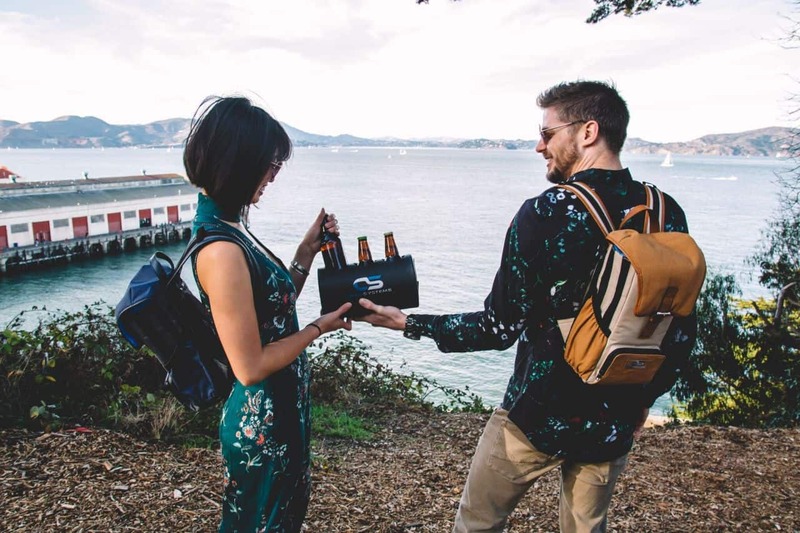 They Chiller itself only weighs 3.2 lbs, and the pack and tote weigh less than half of that, so they’re already lighter than a lot of day packs and coolers that people are familiar with. 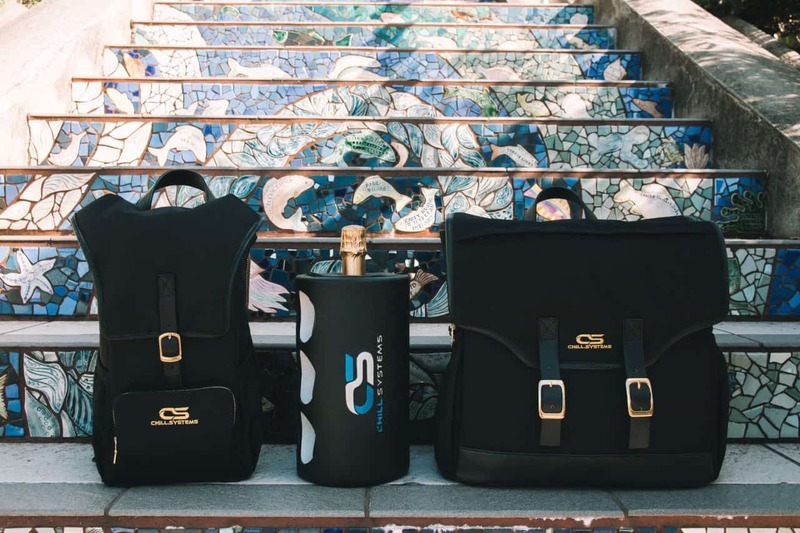 They come in a few colours, but I’m partial to the all-black colour scheme, because it’s sleek and, in the case of the pack, you’d never guess it was carrying three bottles of wine or six cans of beer… or soda. Or wine bottles full of water. 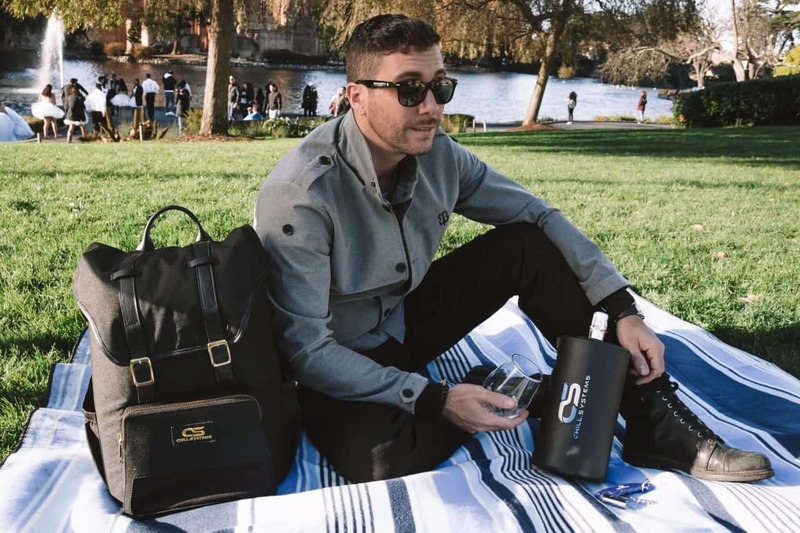 The Chiller is going to make it big, both because everyone needs a better alternative to those big bulky coolers that we’ve all used in the past, and because people need to be able to have cool drinks when they’re out and about. I don’t want to drink warm beer at a bonfire, and I don’t want to drink what might as well be luke-warm tea when I’m in a humid forest. The Chiller bags are portable, not heavy at all, and look good enough to carry in the woods and in the city, so I really hope the Kickstarter takes off. They have some great rewards for donations, allowing you to save money on the tech and take full advantage of these great products, so check them out here.